Slain soccer star Senzo Meyiwa’s father said on Tuesday he believes not all statements given to the police about his son's death tell the full truth. Samuel Meyiwa also questioned why the police were moving at a “snail’s pace” despite him giving them a “solid lead” about his son’s killers three weeks ago. Meyiwa said speaking “the truth” would be a gift to his son. Meyiwa Senior told the Sunday Tribune earlier that he believed that his son’s death was a hit. He revealed that the killers were well-known hitmen from KwaZulu-Natal and said the police were closing in on the men believed to have murdered the Orlando Pirates soccer player. Meyiwa was gunned down in October last year at his girlfriend Kelly Khumalo's mother’s home in Vosloorus. Meyiwa senior told News24 on Monday that the police had assured him that they were about to make an arrest. “I told the police who the suspects were and where to find them. These guys should have been arrested already, the police are moving slowly. “I gave the police the information three weeks ago, I gave them what I believe is a solid lead. They went to where the suspects live and they were not there, they had fled to Johannesburg,” Meyiwa claimed. When questioned about how he got the information about the killers, he said, “Someone whispered to me who the killers were. That person told me that they were hitmen and even told me where they lived. Meyiwa urged the police to act fast before the suspects “skipped the country". Meyiwa still believes that some of the people who made statements to the police, are not telling the whole truth. “I think that they lied about their phones being stolen because I have Senzo’s phone right here with me. I strongly believe that they know more about the murder that they are telling us,” he said, sounding visibly upset. 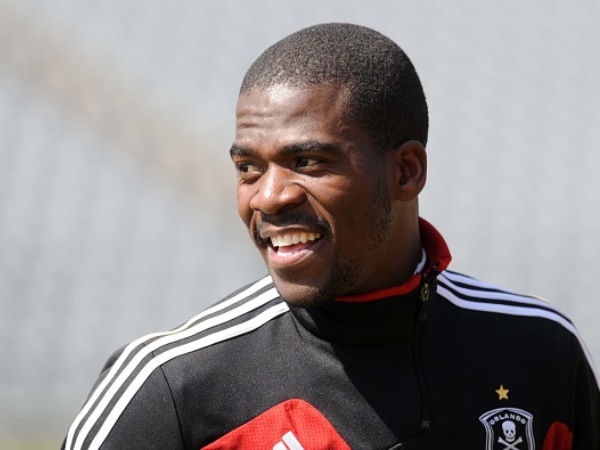 Meyiwa said he was surprised that a long-time friend of Senzo had distanced himself from the incident. “He claimed to be Senzo’s good friend for many years but he too has not come forward to tell the truth. I am surprised that they are all quiet about the incident. Meyiwa claimed the family had not heard from Senzo’s then lover and mother of his child, singer Kelly Khumalo, either. “She and her mother have never called the family to offer their sincere condolences. “I always asked myself why, what have we done to them because it was our son that died at their house but they are silent. They should have been the first to arrive to cry with us and they would still be with us during these tough times. “I told him that out of all of the girls that he had dated in the past, she was the busiest. She was just uncontrollable. These days she is half naked on national television and she is just too thin, to me she is a ghost walking on earth." Meyiwa said he knows that he and Khumalo will never have an amicable relationship until she tells the truth about the night his son died. He said he was worried about his granddaughter, Tingo, whom he had only seen once. When News24 approached Kelly Khumalo she did not want to comment on the matter. Magma Security Investigators, who offered to help the Meyiwa family with the investigation, said they were still investigating.